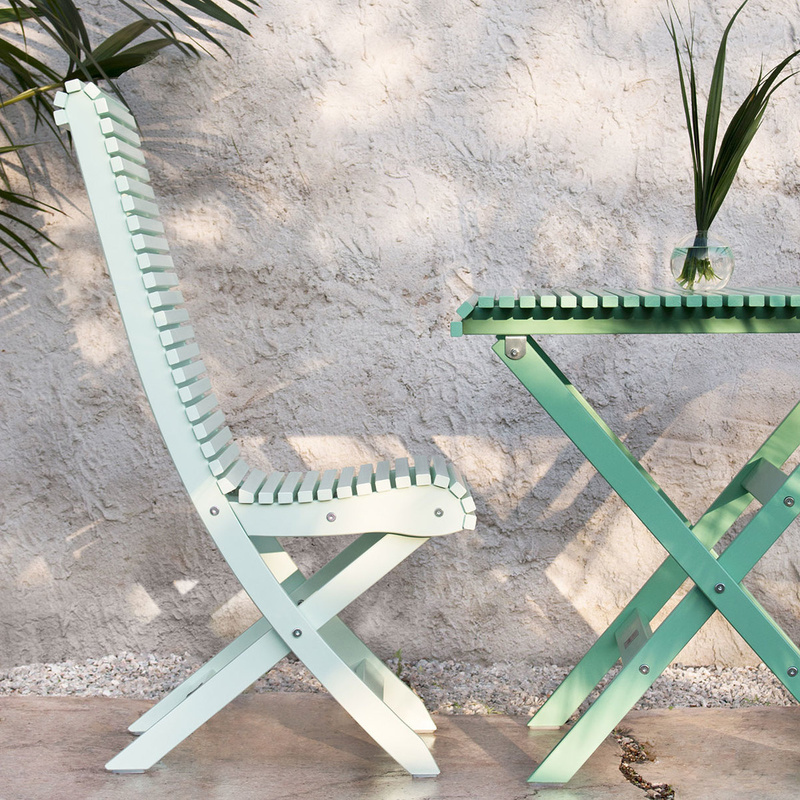 This comfortable table comes in a beautiful Caribbean green shade and is completed by two chairs of the Sigrid collection by Gasens Lada Utemobler. 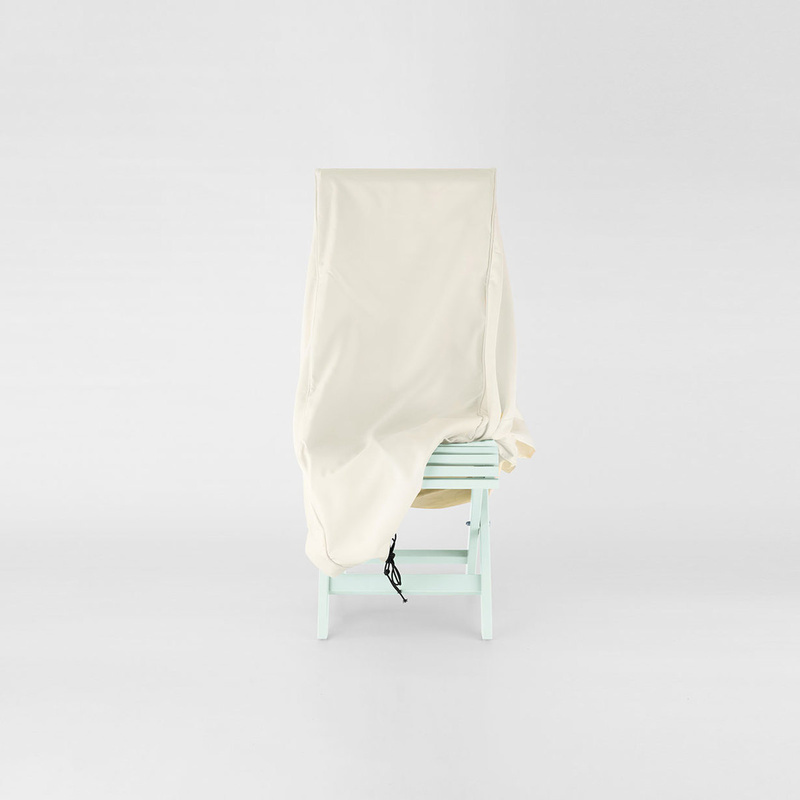 One chair is of a cool light pistachio shade, the other one of a bolder pink hue. The overall chromatic effect is extremely pleasant to the eyes and uplifting to the spirit. This set of table and chairs is designed by Gasens Lada Utemobler with urban balconies and terraces in mind. In town, more than anywhere else, it is of crucial importance that we manage to make the most of the little outdoor areas we have, in order to give to our life that bit of naturalness that it desperately needs. This square table is small enough to fit even in a corner or on a narrow balcony. 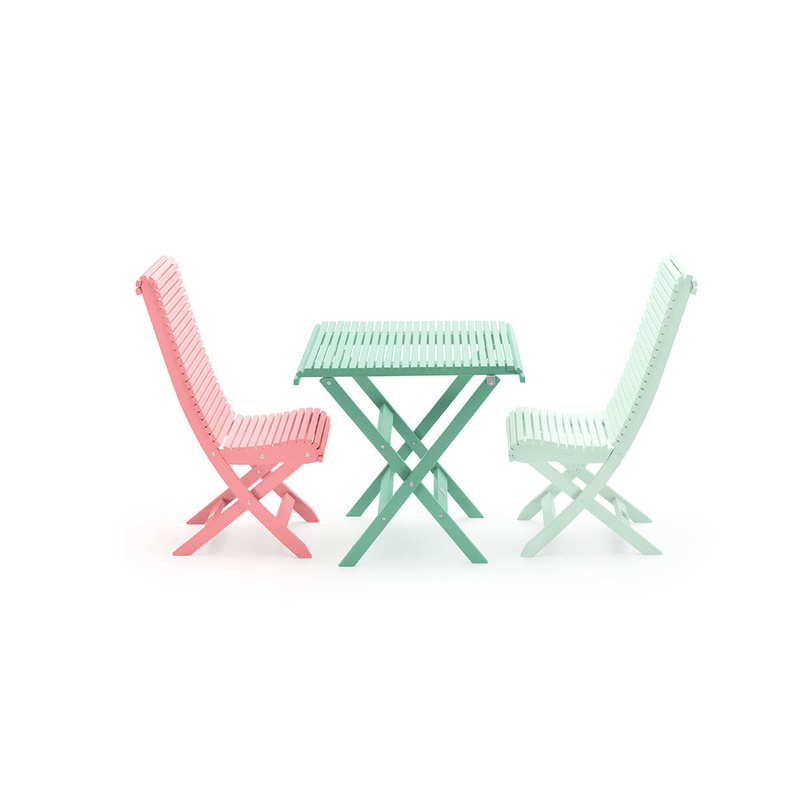 This way, you will have the unique chance to create a cosy yet wonderfully colourful and comfortable outdoor areas for your breakfasts, lunches, dinners or afternoon drinks with friends. Functional outdoor furniture is usually conceived as some kind of compromise - if you need to save on space, well, you should give up a bit of style. Gasens Lada Utemobler won't stand by this idea. 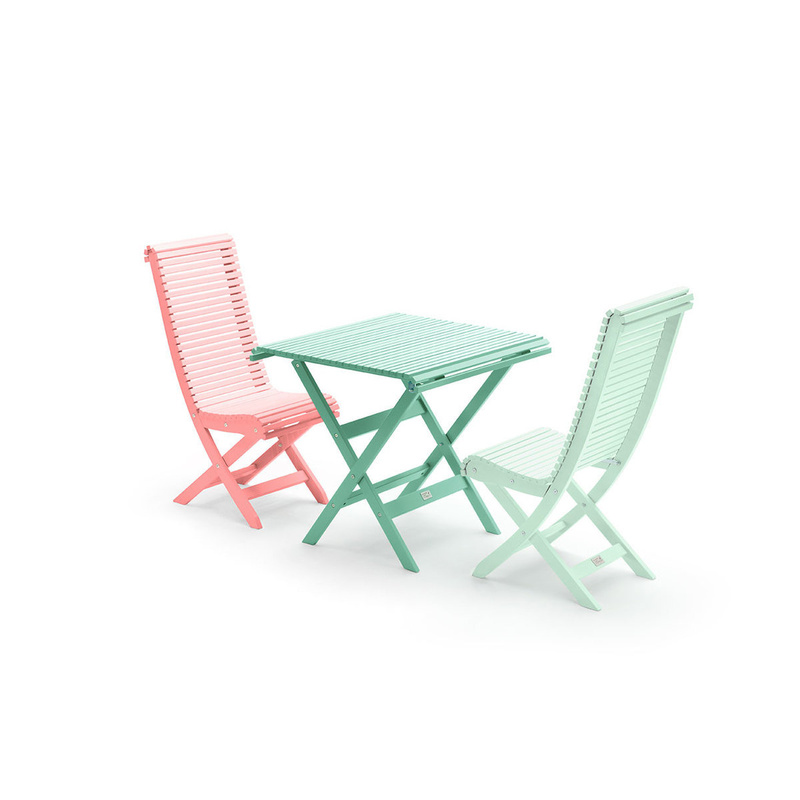 According to this Swedish brand, there is no reason why functional, space-saving outdoor furniture should be made of poor quality plastics and ugly colours. Gasens Lada Utemobler means to offer you everything: top quality, a stunning look, exceptional comfort, bright colours, proven durability, in a fully environmentally friendly way. All these furnishings are made of Accoya® wood - sourced from controlled, certified forests - and finished with a safe, eco-friendly water-based paint. Fasteners are made of “Marine-grade”- stainless steel and offer top resistance. What more could you ask of your outdoor seating area? 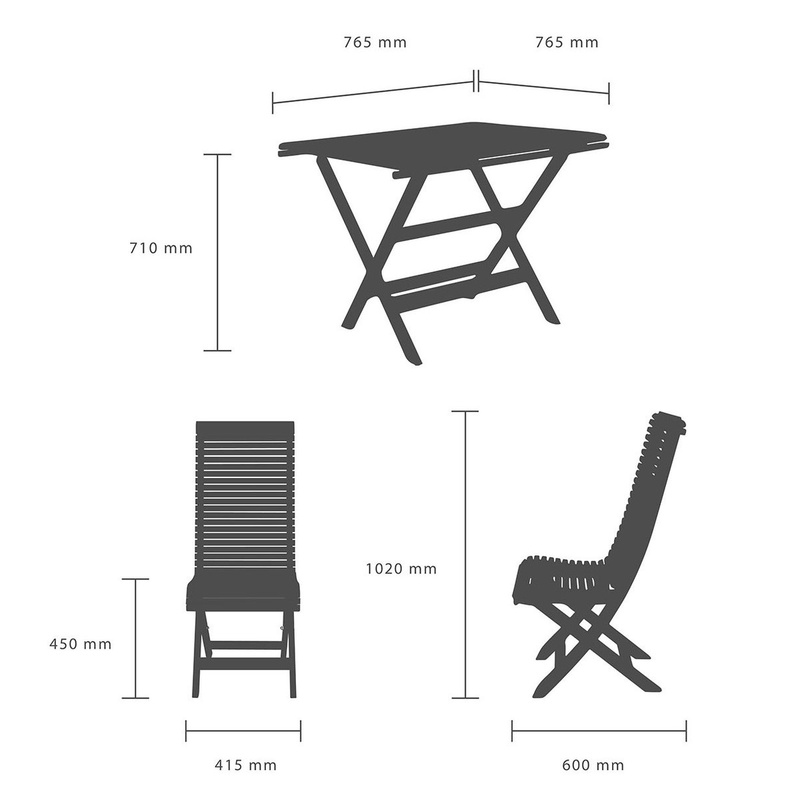 Gåsen Lada Outdoor Furniture is a Swedish design company focusing on outdoor furniture. The design is characterized by redefining the classical forms the basis of durability and character. The furniture is manufactured on Gotland, with the conviction that in an environment-friendly materials to create furniture that entertains and inspires.